Most Americans are familiar with our first Thanksgiving story featuring Pilgrims and Native Americans. Have you ever wondered what happened next? How did that one time event develop into a turkey dinner celebrated with family and friends? Asking myself those questions forced me to realize how little I actually know about this beloved holiday. 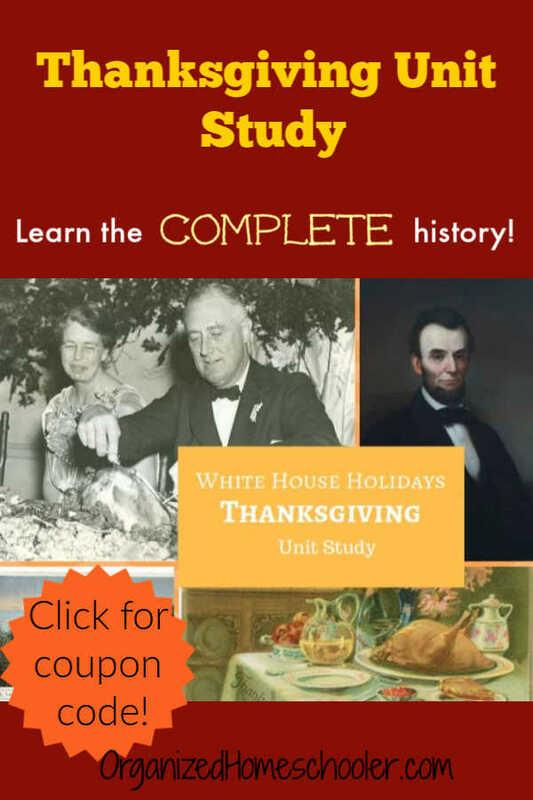 Thankfully, I found an amazing Thanksgiving unit study that is helping me teach my children the complete Thanksgiving history. 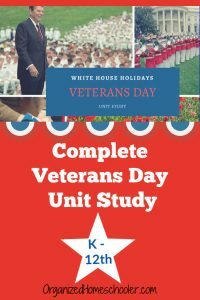 This Silverdale White House Holidays Unit Study is set up slightly different than others I have used in the past. Each age group reads the same main text rather than have completely separate lessons. 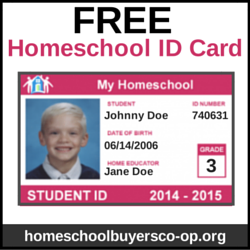 Within each lesson there are additional readings for older students and different activities for each age range. I like that because I almost never stick to one age range. My kids (10 and 13) span the K-6th and the 7th – 12th groups, so I tend to pick and choose readings and activities to teach them together. Having all of one topic in the same section makes that a little easier. The Silverdale Thanksgiving Unit Study is divided into 5 sections. 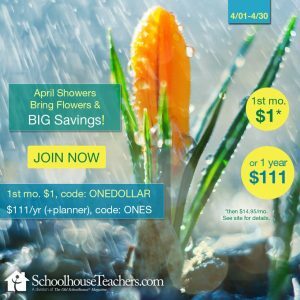 I plan to teach 1-2 each week of November, leading up to Thanksgiving. Students will explore these three words and how they relate to things they are personally thankful for with a craft activity. Like all Silverdale unit studies, this Thanksgiving unit study includes primary sources. Students will read and discuss two eyewitness accounts of the first Thanksgiving through a personal letter and book entry. Harvest festivals are common to many cultures around the globe, but how did that evolve into our idea of Thanksgiving? 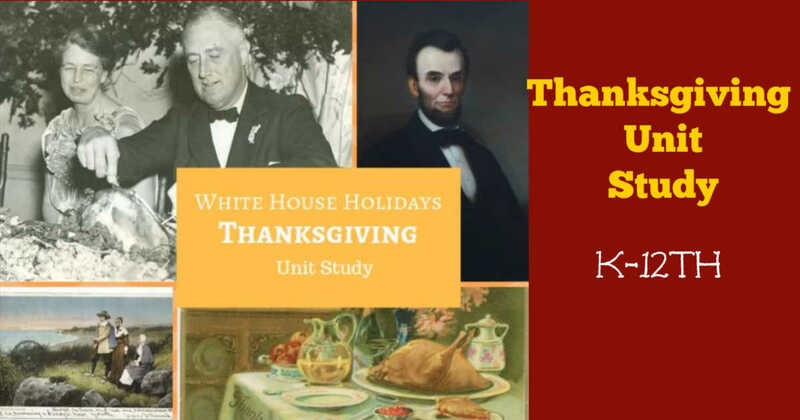 In this lesson, students will read about the influence our first few presidents had on the idea of a national Thanksgiving. Many people will be surprised to learn that Thanksgiving was not always celebrated in remembrance of founding a country and was rarely in November. Students will read George Washington’s first Thanksgiving proclamation. They can even see an image of this document printed in a newspaper. Sarah Josepha Hale was instrumental in convincing presidents to declare a national day of Thanksgiving annually. Without her dedication, this national holiday would likely not exist as we know it today. In this Thanksgiving unit study lesson, students will dissect and illustrate a Thanksgiving poem. Older students will read the 1863 letter from Sarah Josepha Hale to President Abraham Lincoln. The letter is printed to make reading easier, but this primary source letter is included in her original handwriting too. Students will also have the opportunity to read and discuss the original Thanksgiving Day proclamation. Did you know that in 1939, 1940, and 1941 states observed Thanksgiving on two different days in November? Some states chose to stick with tradition of the time and celebrate on the last Thursday in November, others caved to retail pressure and celebrated on the third Thursday so that consumers had more time between Thanksgiving and Christmas. The celebration was unified during the Roosevelt administration. The primary sources in this lesson include a letter to the president describing the Thanksgiving uproar of 1939 and Norman Rockwell’s Four Freedom paintings. My kids were shocked to realize that we have one of these prints hanging in our house. Honestly, I didn’t realize it was part of a set either. Now I want to collect the others! This is a fantastic lesson to read with your children if they are confused by the presidential turkey pardon. It is definitely a unique tradition. 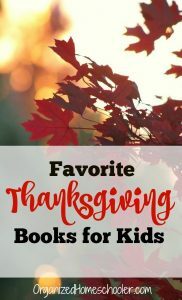 In this final lesson of the Thanksgiving unit study, students will read about the Thanksgiving traditions of President and First Lady Eisenhower. Their traditions are representative of how Americans celebrated this national holiday in the 1950’s. 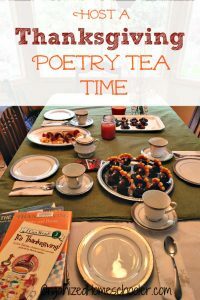 These recipes would be a wonderful addition to a Thanksgiving poetry tea time! Click here to receive a small sample lesson from my favorite Thanksgiving unit study.